Portable Document Format (PDF) is a universally accepted document formats. It prevents formatting errors from cropping up due to text file incompatibilities, making PDFs is an official documents like resumes and important documentations. Converting from a Text file to PDF is an easy task. We can use Pdfsharp open source library for creating and manipulating PDF documents programmatically from .Net supported languages. From the following steps you can easily convert a text file to a PDF format document. In order to read from a text file, you should create a Text Reader Object. Then you have to create a PDF Object for creating your new PDF file. 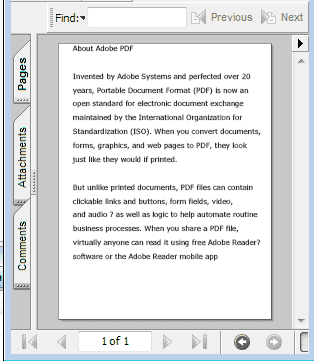 Now you can read from the text file and write the content to the PDF Object. In the above code we set X as 40 pixels from the left side and Y set as "yPoint", because after write the each line yPoint will increment 40 pixels line spacs then only you will get a good line space. When you finish reading and writing, then you can save the PDF Object. You can include the path when you specify the file name. After save the file , you can double click and open the pdf file. Then you can see the content in PDF file same as in Text file. 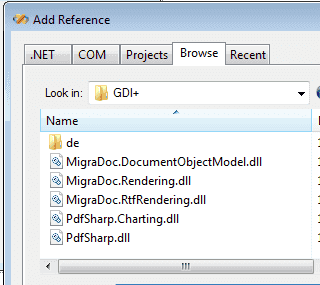 The following program shows how to generate a PDF formatted file from TXT file content. pdf.Info.Title = "Text File to PDF"
Dim pdfFilename As String = "txttopdf.pdf"